“There is however a cautionary note with respect to overbuilding in Toronto and Montreal. The number of units under construction is elevated in these centres. This could develop into overbuilding if these units are completed but not sold. To mitigate this risk, builders will need to hit the appropriate balance in channeling new demand between units that are currently under construction but not sold and units that are in the planning stage,” noted Mr. Dugan. This is the first phase of information being released as part of the HPAA Framework. Additional, market-specific analysis will be released as available, with future reporting taking place on a semi-annual basis starting in Q1 and Q3 of 2015. 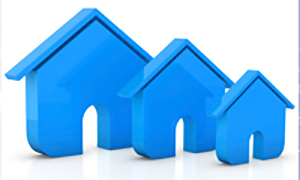 Updates will also be available as part of CMHC’s Housing Market Outlook which will be published in Q2 and Q4 in 2015. As Canada’s authority on housing, CMHC continually works to increase the amount of available data and analysis on the housing market. Additional information, including the full report can be found in the special edition of CMHC's Housing Now - Canada Edition.